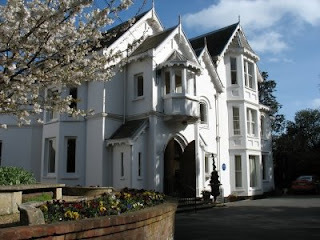 The Sidholme Hotel in the coastal town of Sidmouth, Devon, was the venue for our recent 2008 Sovereign Grace Conference. Following his visit to the UK in April 2007 Pastor Don Fortner of Grace Baptist Church, Danville, Kentucky, was welcomed back as our speaker. Like last year the meetings were a great encouragement with the Gospel being boldly proclaimed. We thank God for sending His word in such power and for blessing these meetings to the good of His people and the glory of His precious Name. 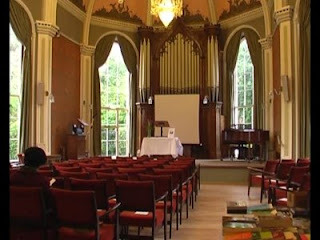 The messages are now available in both audio and video formats online. The video messages can also be listened to on the Video Page of graceandtruthonline.com or on the Grace and Truth Online Video Chanel on Veoh. When played online they provide a 5 minute preview but they can also be downloaded for playback on your computer. (Sadly since returning home to the USA Don Fortner has been suffering from some heart trouble which has required surgery. We were very sorry to hear of this and pray that the Lord will be pleased to grant a good recovery and restore His servant to good health soon. An update on his condition is available in the post here ).